You may be a new or even an existing customer at Caron Chiropractic Clinic of St Paul, MN and you may have noticed the other services we have to offer. 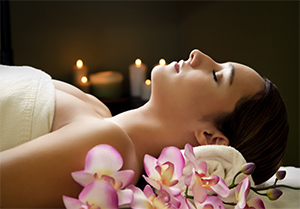 You may have also wondered what Massage Therapy is and how this could help you. Chiropractic adjustments do wonders for the body but when you add massage therapy, not only does it feel amazing but it helps your adjustments last longer and initially heal you faster by loosening up your muscles so your bones can adjust where they need to be. Not only does a massage help loosen your muscles, a massage is perfect for people who suffer from stress and anxiety. Are you afraid of flying but have to fly often for work? Receiving a massage before the flight will help your stress levels immensely. A lot of people suffer from headaches and Tylenol never really does the trick. Getting a massage done will help relieve the tension your muscles have created from sleeping wrong to over working them. A one hour massage can literally make you feel like a brand new person and that headache you had coming in? It’s gone now. Another benefit from massage that most people don’t know about is disorders with digestion. If you suffer from heartburn to constipation, a massage can help relax your body and your muscles, allowing for your body to function properly, keeping you on track. Massage therapy has a lot of positive benefits and it feels amazing. Maybe you’ve had a long week at work and you were inches away from snapping on your boss because he’s been pushing you day after day. Receiving massages can initially take your day to day issues away, leaving you relaxed and at peace. I guarantee you’ll come out of the massage room with a smile on your face. Here at Caron Chiropractic Clinic of St Paul, MN we have licensed massage therapist who take the hands on healthcare technique to a new level. We have years of experience working with people who have all kinds of different conditions and aches and pains. No two people are alike and we know that, hence why we do a complete exam and questionnaire to make sure you’re getting the proper massage. Wouldn’t you want to get your relaxing massage from a licensed professional who knows how to relieve the stress you’ve always been looking for? Afterwards, you can receive a proper adjustment, allowing your visit to be a complete success. This entry was posted	on Friday, September 5th, 2014 at 3:51 pm	and is filed under Massage Therapy. You can follow any responses to this entry through the RSS 2.0 feed. You can leave a response, or trackback from your own site.